Today I went into the Chanel store and fell in love. 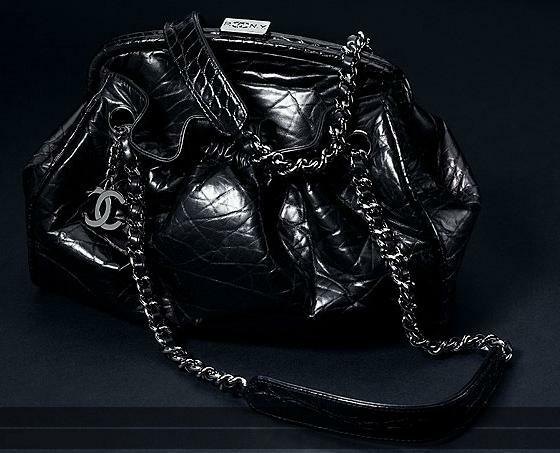 In love with this completely GORGEOUS Chanel bag. It looks fab in this picture, but in real life it looks (and feels!) completely DIVINE. The style is elegant and the vintage feel of the worn leather just adds to the classiness. Sigh, I can stare at it all day. I've even thought about how I would match it up! This evening bag cannot be paired with just any old evening dress (esp not the long ones due to its medium-ish size). Right now, I can only picture it with a classic cute black dress, like this one also from Chanel: Maybe something even simpler than this one! Sigh, I shall swoon. This bag will definitely be on my things-i-shall-buy-if-i-win-the-lottery list! Looks like a very soft, frame bag and frame bags usually tend to be rigid, so this is definitely a good investment. I just recently became obsessed with fashion...I'm a teenager...And I wanted to say how much I LOVE your blog! It's exactly what I want to read. Keep it up! That bag is just soooo beautiful. Wish I could afford something like that! But I can't, cause I'm just a housewife. do you know a good blog on men's fashion? CHANEL shouold do themselves a favour and give you both the DIVINE bag AND dress! 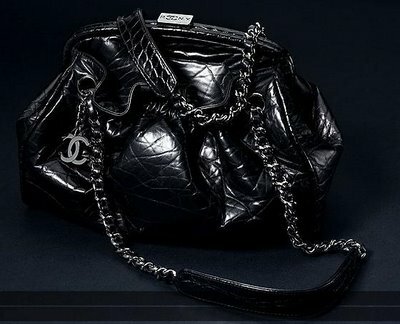 I´m not such a huge fan of the CHANEL bags. Prefer Chloé and Hermes, but this one looks nice! Oh I love this bag too!!! The material gives it a look that wouldn't be confined to an evening bag, i think!! anyone know the name of this bag? thanks! How much is this bag? Too bad im a straight-acting gay guy, if i was fem I would totally wear this! LOL! !